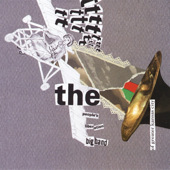 If you are unfamiliar with the Peoples Liberation Big Band of Greater Kansas City I’m here to let you know that you best be knowin’ about it. If you live in the greater KC area I’d strongly suggest you checking them out – they can usually be found the first Sunday of the month at the Record Bar in Westport. They also appear in other venues throughout the year. For more info check them out on Facebook here. If you don’t live in the area, or are unlikely to visit, I’d suggest checking out their self titled album on Tzigane Records, which you can find on iTunes, Amazon, emusic and a whole bunch of other places. In lieu of writing a record review and limiting myself to the standard genre of the CD review, I’ve decided to hit you with 20 reasons why the PLBB is freaking awesome, many of which can be found on the disc. So here you go, in no particular order, 20 reasons why the PLBB is awesome. 5. PLBB’s leader, Brad Cox, has successfully used the PLBB and other groups he’s involved in to create some serious support from the KC arts community. The amount of support avant-garde and experimental music gets in KC continues to blow me away. The PLBB often provides the music to the Owen Cox Dance Group productions, such as an annual performance of a very bent, but very fantastic, version of the Nutcracker Suite. 6. I’ve never heard a big band scream at the top of their lungs “hooray, here it comes, here comes the playful kitten,” that is until I listened to the CD. A lame, stiff, unspirited chant of “Pennsylvania 6-5-0-0-0” this is not. 8. did I mention there’s a quick quote of Cream’s “Sunshine of Your Love” at the end of the “Shanley Lenart Suite”? 10. they can also take something from John Zorn’s Masada book while not only staying true to Zorn’s aesthetic, but to their own as well. 11. Oh my dear lord the lyrics to “Scrat Rut” are dirty. Dirty. Do not bring your kids. 12. Song titles are awesome. For example: “I Like Coffee for the Jitters, I Like Sugar with my Bitters,” which happens to be the second movement of Cox’s Nursery Rhymes Suite. Take Tim Burton, and your favorite nursery rhyme, combine that with a flexible, yet hard charging avant-garde big band and you’ve got a pretty good idea what this group sounds like. 13. At any time the band will break into an impromptu version of “In the Mood.” But they’re not in the same key, which makes it that much better. 14. I still have a hard time believing this group draws such a large, enthusiastic, supportive audience. 15. Although I haven’t seen it, the PLBB has performed the music to the silent film Battleship Potempkin, which tells the story of a mutiny that occurred on a Russian battleship in 1905. I hope the PLBB does this again, and if it happens seeing this performance is on my list of things to see before I move away from the area. 17. The band is just as good at mass freakouts as it is executing tight section work. 18. Fun things you might see at a PLBB show: recreating the Black Eyed Peas’ Super Bowl halftime show the day of the Super Bowl. Or…posthumously marrying John Cage and Merce Cunningham to the music of Michael Jackson. 19. PLBB has often recreated Disney Songs, but in a really not that good for children kind of way. 20. I’m hesitant to say anything about their upcoming May day show, because I want to make sure I’ll be able to find a seat, but it’s going to feature tunes from Kurt Weil’s Threepenny Opera and excerpts from the Battleship Potempkin. Should be pretty awesome.